For Adults (ages 16+) online registration, click here. For Children (ages ages 7-15) online registration, click here. 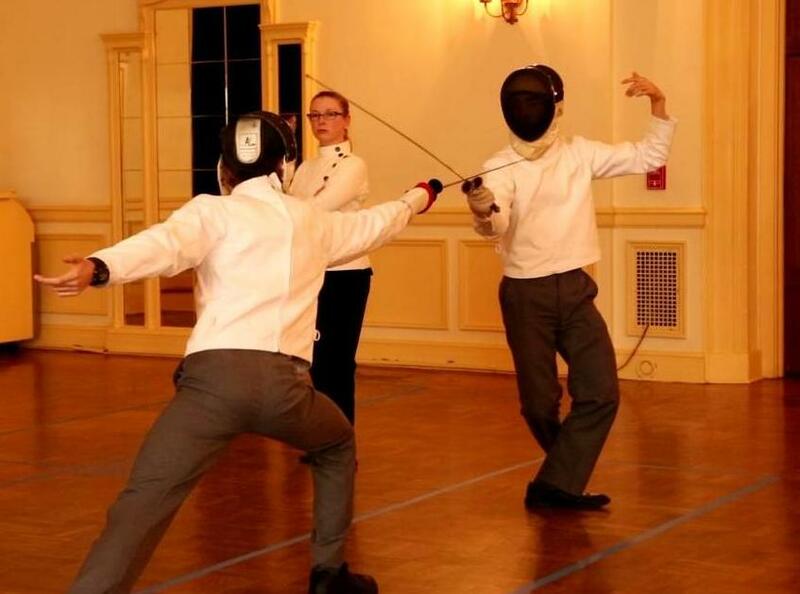 ​After years of dedicated study and training, two of our longtime members, Ms. Caroline Barton and Ms. Bianca Lok, are testing to become formal students of the Renaissance Fencing Club. A formal student is an individual who is well-versed in the fundamental philosophy, concepts, and skills of the art and science of defense. 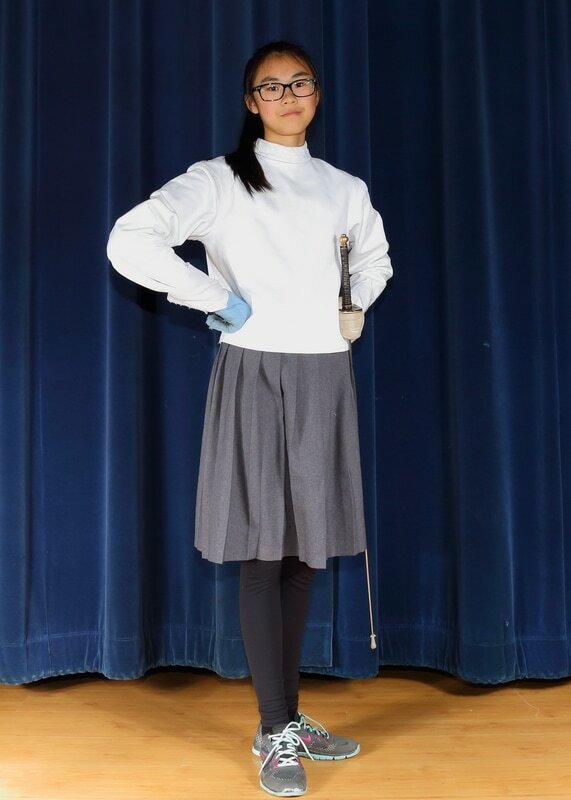 She is both a representative of our school and of Classical Fencing as a whole. As such, after showing a long-term commitment to learning our martial art, clear fencing ability, and demonstrating manners and behaviours congruent with a respected member of polite society, a candidate must undergo a three-stage testing process. ​The testing process includes three parts: a private verbal examination, a private practical examination, and a public exhibition. Caroline and Bianca have worked hard to complete their verbal and practical exams. It is here at the public exhibition where we require the help of friends, family and fellow fencers. The public exhibition is the final stage and is both test and celebration of a fencer’s training thus far. Akin to a recital for a classical musician, the public exhibition gives the exhibition candidate a chance to demonstrate the artistry which she has acquired over the course of her training. 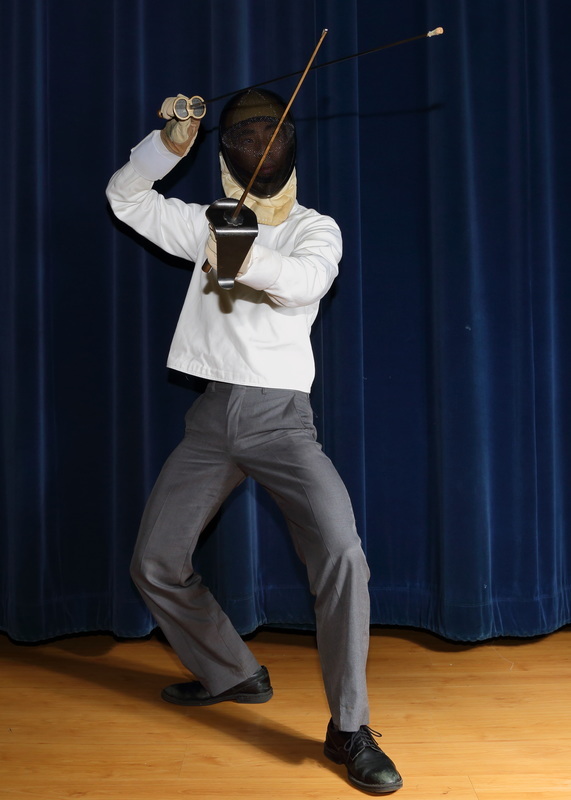 Since the spotlight is placed squarely on the candidates and they will only be fencing senior fencers who have been invited to participate, they will be held to a standard even higher than on an average day. ​Family, friends and the fencing curious are encouraged to attend these exhibitions so they can support the exhibition candidates and take part in the potential celebrations immediately following the ordeal. During the public exhibition, hors d'oeuvres and drinks will be available. Should guests care to bring any special or favorite dishes, they are welcome to do so. The Public Exhibition for Caroline and Bianca has been scheduled for Saturday, June 24, 2017 from 2:00-5:00pm. As this is an important event in the fencing lives of these two young women, please wear suitable Semiformal attire (click here for further guidelines: www.emilypost.com/advice/attire-guide-dress-codes-from-casual-to-white-tie/ ). ​The exhibition will take place at the Aberthau House at 4397 W.2nd Ave. Please RSVP here to confirm your attendance as this will greatly help us in planning this event. I look forward to seeing all of you on June 24th! Félicitations aux nouveaux Maître d’Armes! Upon the completion of their Masters' Examination, I am happy to report that the Martinez Academy has recently promoted three new masters to its lineage. They include Maître Cecil Longino, Maître Antone Blair, and Maître Jared Kirby. We would like to take this opportunity to send our congratulations to the new Maîtres d'Armes. We certainly look forward to continuing learning from and working with them for many years to come. On Thursday, September 15th, 2016 at 12pm, the Renaissance Fencing Club and Salle Saint-George will be presenting a demonstration of Classical Fencing in the Agora of the AMS Nest. 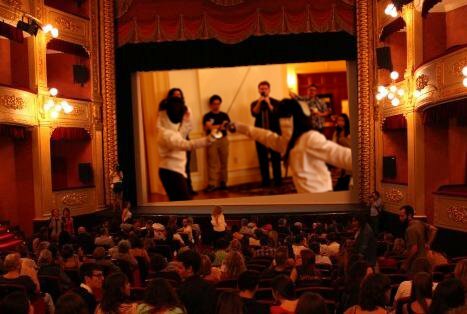 This is a unique opportunity to observe a tradition that is a descendant of the martial arts of Europe. A variety of weapons ranging from the Foil to Spear will be demonstrated showing how scientific principles were employed consistently through history to survive serious encounters. This event will provide a glimpse into the Foundations of Classical Fencing course offered by UBC Recreation on Saturday, October 15, 2016. 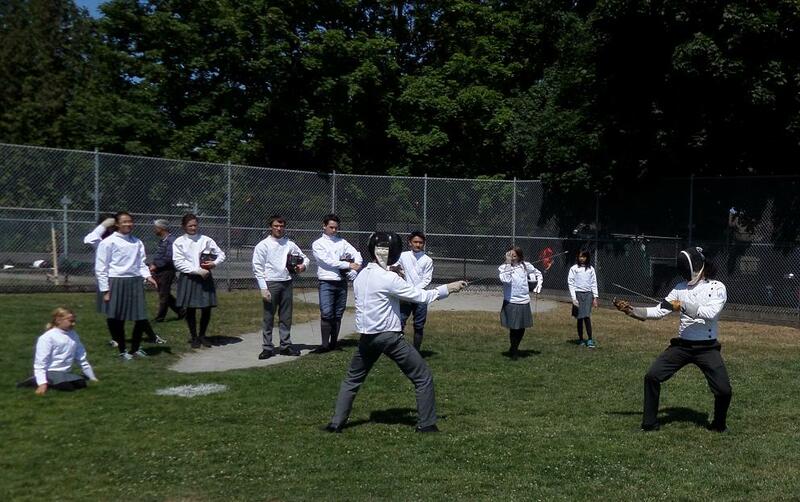 On December 12, 2015, Maestro Martinez & Maestro Acosta-Martinez gave a workshop in Seattle on three universal concepts that apply to all combat but with a focus on how they apply to classical fencing namely: Redirection, Opposition & Interception. A small contingent of us had the honour of attending this workshop and working with the maestri and Prévôt Longino. While the majority of our fencers primarily train with the French Foil, we had the opportunity to not only look at how the French look at the use of these integral concepts but also how the Italians and Spanish employ them as well. For myself, I particularly enjoyed how our fencers who focus mainly on Redirection were able to quickly apply Opposition and Interception in the drills practiced and see their amazing efficacy in situations that commonly arise in assaults. Working with the maestri is always a wonderful way to reconnect with the origins of our tradition, receive feedback on the current state of our fencing, as well as glimpse and be inspired by the vast breadth and depth of what there still is to learn.